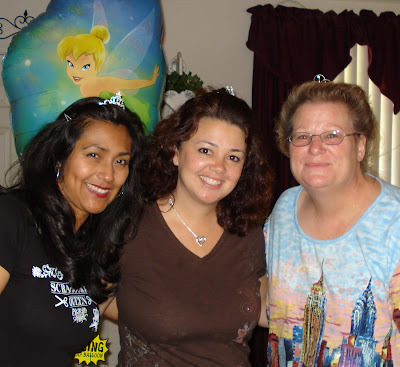 Here are a few of pictures from my class on Saturday! We had a GREAT time~ there were 9 of us, not everybody took pics! Can't wait until our next one in July!! 1st of all, here was our Breakfast ~Banana Splits!! We celebrated 3 of our birthdays ~so I made it an "Ice Cream" theme! Here are the projects we made! If you would like to see how they were designed in my Gypsy, you can see that HERE!! 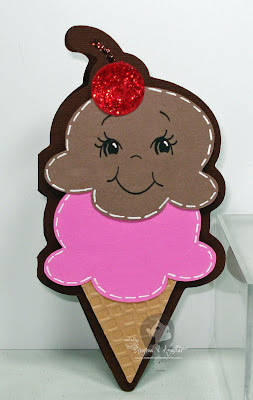 :) The 1st project is an "Ice Cream" Card! 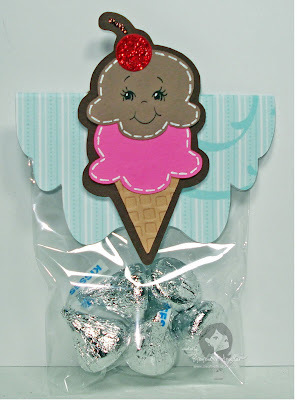 This one is a "Ice Cream" treat Topper! 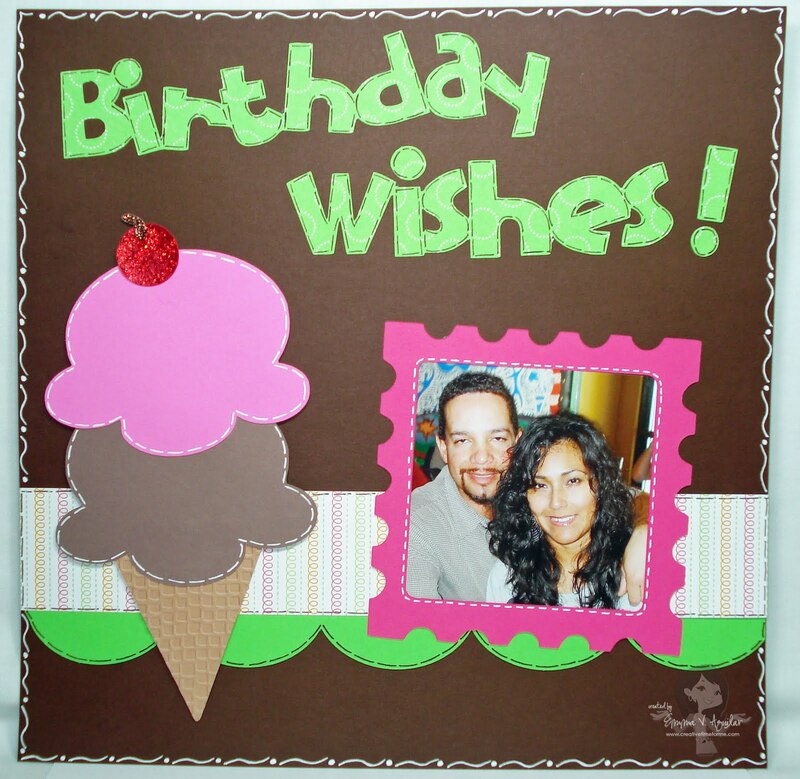 This a 12x12 Ice Cream layout page! This last is also a 12x12 layout w/pictures of the Birthday Girls! Super duper cute! Dang my lactose intolerance....YUMMY!!!!! Looks like you had a blast! How fun :) Love the projects too and the yummy banana split, YUM! What a blast!...I wish I was there too. Looked like fun! Wanna move to my neck of the woods? I gotta move closer..... yumm-o! Looks like you had a blast ! Happy Birthday ! Wished we lived closer so that I could attend your classes! Those banana splits looked so yummy! Emma .. thank you for becoming a follower on my blog. I never expected anyone to look at it. I just did it so that I could participate in NSD this year. Was I shocked to see that I had 3 followers, and that you were so sweet to leave me comments. Emma, these are great pics. Wish I could attend your classes! You're so motivating. I just got my gypsy and love to see your videos. It sure does help a lot. I'm craving some ice cream. Those banana splits look DELICIOUS! :) Great projects too! Thanks for being my first follower! I've been getting email updates for your blog for quite some time so I love that it was you! :) Thanks again! Happy belated birthday Emma, it looks like you had a fabulous day. What a fun day! All of your projects turned out soo cute Emma! Emma you are an inspiration to everyone. I have learned so much from watching your Video's using the Gypsy. Looks like you and your friends and family had a wonderful day. Oh my goodness! You are soooo awesome my friend. Beautiful and creative...all wrapped up into one nice neat gorgeous self. I sooo wish I lived closer to you. HUGS! Looks like you had a wonderful birthday. 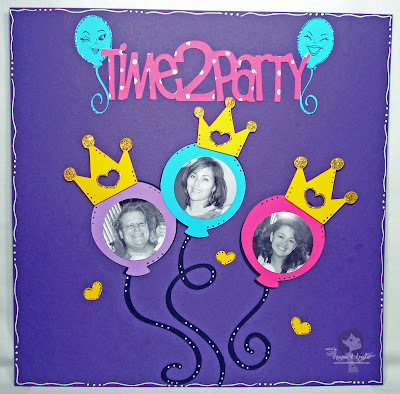 The one thing I have been doing for the past few years on my birthday, I would invite a few friends to join me at a scrapbook store for a day of cropping. Now, I don't know what I'm going to do. All the stores in Jacksonville have closed and the nearest one is about 45 minutes away and doesn't really have much cropping space. I guess I'll just work in my craft room this year. I'm glad you had a great day and a belated Happy Birthday. Looks like you had a blast on you party. 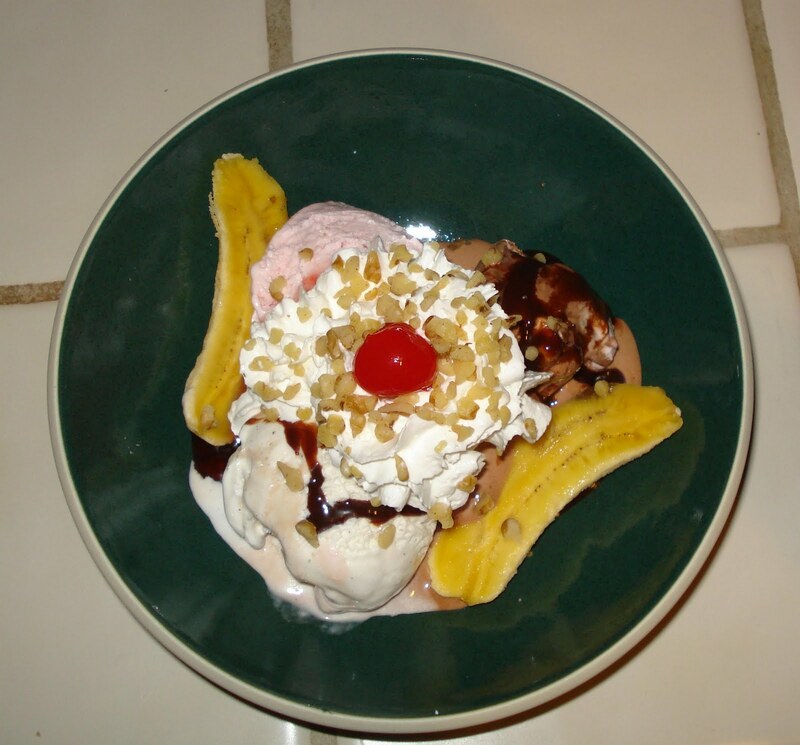 the banana split looked so YUMMY! Love all your projects. TFS Emma... always look forward to your videos and projects. Hey Emma, cool layouts! Happy Birthday, if I missed it! I love that Ice cream cone!